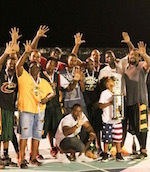 2012 Anguilla Amateur Basketball League started on February 23. Many games were played so far. Game results and standigs can be checked below.